Nuessence Age Defying Skin Serum Review: Does it work? Nuessence Skin Serum is an anti-aging serum meant to improve the appearance of the skin by fighting against UV damage, rejuvenating the skin, and diminishing the appearance of wrinkles. It is available through the manufacturer. A trial version of the product is offered. Reviews of the product state it can take 4 weeks to see visible results. No specific ingredients are listed, but vitamins, antioxidants, nutrients and collagen boosters are said to be part of the formula. No fillers, chemicals or binders are said to be a part of the formula. The manufacturer does not state whether or not there inactive ingredients in the formula. The manufacturer’s site states that one must wash their face and then apply the serum under the eyes. Using the patch method is best so that customers can be informed about how the product interacts with their skin. A trial version of the product is offered, which can help consumers identify whether or not the product meets their expectations. 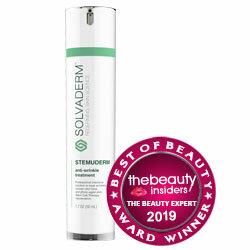 Reviews state that the product can indeed protect one’s skin from future damage and correct current damage in the skin. Binders, fillers and chemicals are not a part of the formula. The product states it can help eliminate bags under the eyes and it has been recommended by dermatologists. Nuessence is easy to use and add to one’s daily skin care regimen. Reviews of the product state that visible results are possible within as little as 4 weeks when used correctly. Skin rejuvenating serums also ensure people can avoid or delay more costly cosmetic procedures, such as botox. The exact ingredients and their amounts are not listed on the product’s site. This can cause difficulty in deciding whether or not to use the product, especially in people who have allergies or sensitive skin who have to pay special attention to what they put on their skin. The ingredients are very strong and the serum should be used around the eye area judiciously. The formula is not meant for other parts of the face. Nuessence is not easy to find in stores and currently must be bought online. The cost of the product is not listed visibly and one must go through the trial page in order to see the costs for the serum. Clinical studies to back the claims of the product are not provided. 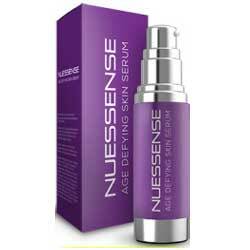 Nuessence Skin Serum states that its formula is strong, potent, beneficial, and trustworthy. It has little risk of side effects and offers a free trial—all positive things from the customer’s point of view. However, the site does not list exact ingredients or their amounts. The cost of the serum is also not visible from the beginning and the site does not list a money-back guarantee. There are other products on the market that state clear refund policies, list exact ingredients and concentration levels, and make it easier to know what the product costs. Including such information would make it easier for consumers to use their products with more ease.